Fike Safety Technology has introduced a new detector for its popular TWINFLEXpro intelligent 2-wire fire alarm system. The Multipoint ASD detector has all of the features and benefits of the existing detector, including 7 modes of detection and optional built-in sounder, as well new features. 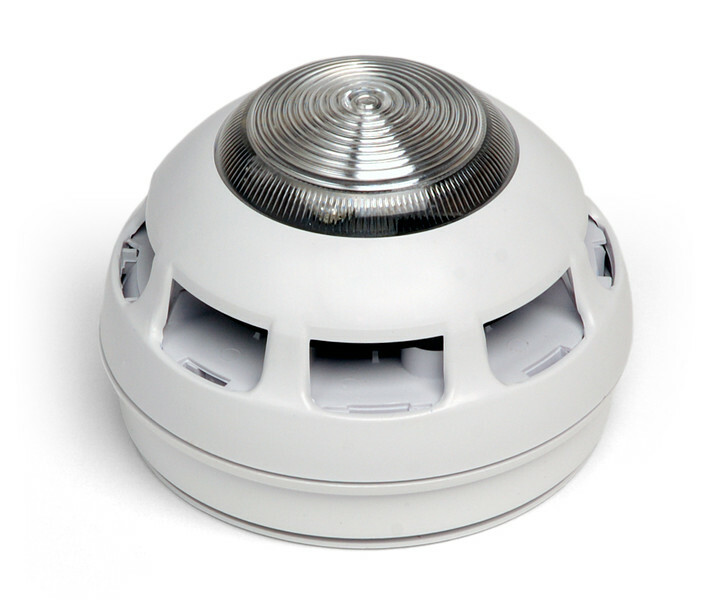 Integral Strobe - The Multipoint ASD can be ordered with an optional integral strobe, allowing the 2-wire installation of an advanced smoke/heat detector, sounder and strobe, in a single cost-saving device. Base LED - When the detector head is removed, a base mounted LED flashes allowing users to easily identify which head is missing even from considerable distance, e.g. in a high-ceiling building. Head Removal Tool - The Multipoint ASD detector removal tool fits the Solo Detector Tester pole, for easy testing and maintenance at height. Optical Chamber - The Multipoint ASD detector incorporates a new advanced optical chamber for enhanced smoke detection. 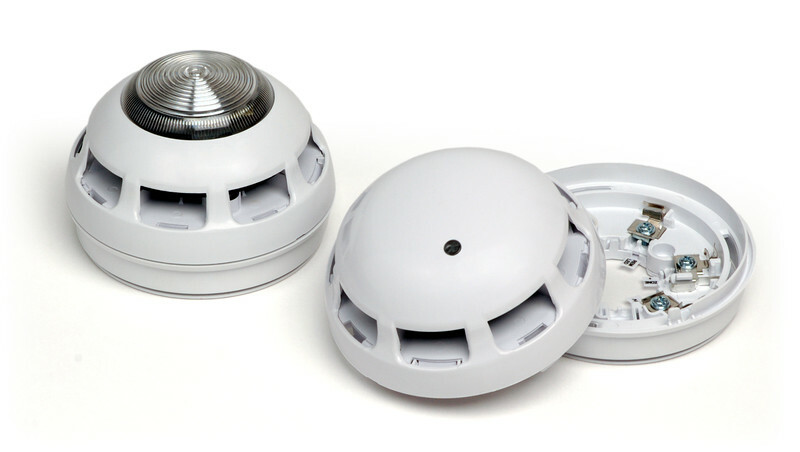 The new Multipoint ASD detector range is available to order now with the following versions. Smoke 1 - Used where ionisation detectors are normally fitted, especially when there are high ceilings or a risk of free burning fires (chemical stores etc.) or fires that need to be detected extremely quickly. Smoke 2 - Used where optical detectors are normally fitted, when there is a risk of a smouldering fire and for escape routes. 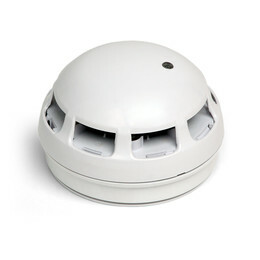 Smoke 3 - Designed for use in areas that are prone to nuisance alarms. The reduced sensitivity linked with a time delay feature, means that a higher concentration of smoke needs to be present for a constant time period, before a fire decision is made. For example, this setting is ideal for hotel bedrooms with en-suite shower rooms. 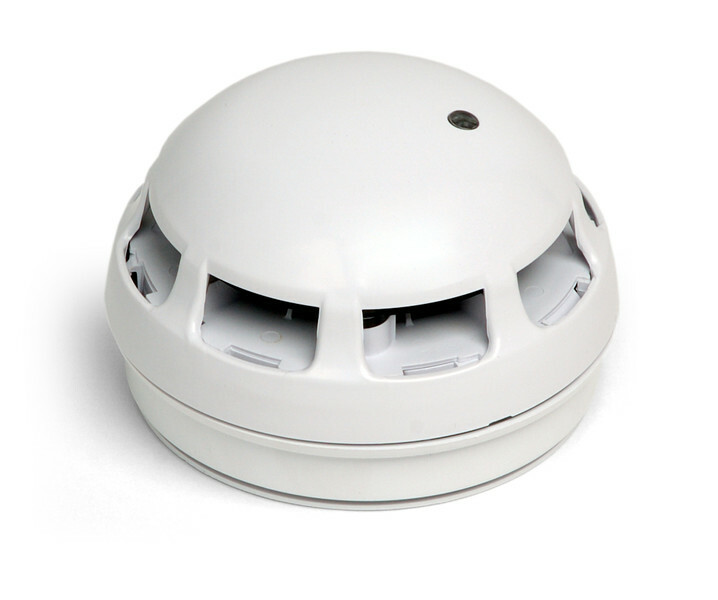 The installer or service engineer can change the setting from smoke 2 to smoke 3 if nuisance alarms are a problem whilst still offering optimum protection of a smoke detection setting. Heat 1 (Rate of Rise) - Used where a standard rate of rise detector would normally be used. Heat 2 (Standard Fixed Temperature - 58ºC approx.) 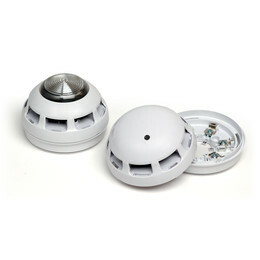 - Used where a standard fixed temperature heat detector would normally be fitted, suitable for kitchens etc. Heat 3 (High Fixed Temperature - 90ºC approx.) 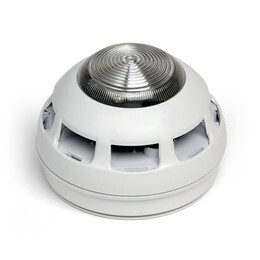 - Used where a high fixed temperature heat detector would normally be fitted. Suitable for commercial kitchens, boiler rooms etc. Is this Twinflex ASD detector compatible with the previous Twinflex V3 panels? Yes all 3 versions of this detector are backwards compatable.